There are many lesser known small and interesting towns in central Florida within about an hours drive from Orlando. You can plan a day trip and be back to your condo in Orlando, by dark. One such small town, which you might enjoy, is Lake Wales. It is an easy drive from Orlando. Take I-4 to US Route 27, then drive South, about 25 miles. 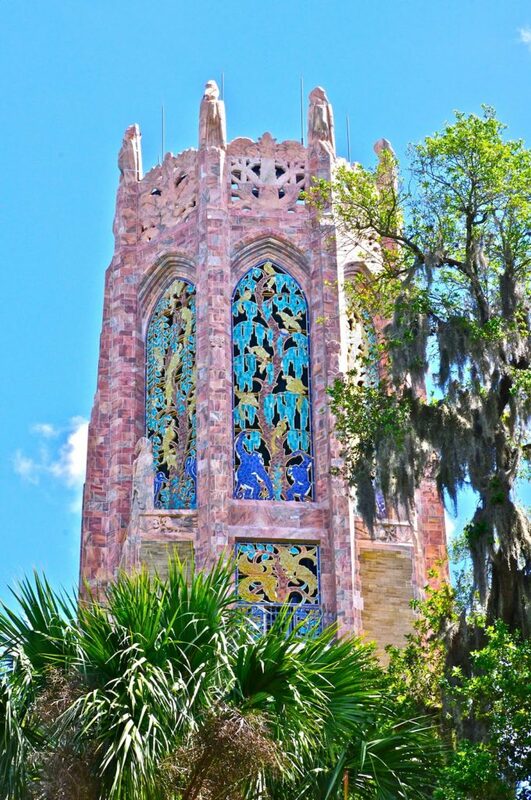 Your first stop might want to be the beautifully sculptured BOK Tower. The place is surprisingly beautiful and well worth considering , for a day trip. The park includes a large parking area and picnic grounds, as well as a gift shop. Bring a picnic lunch and and blanket and relax in a large grassy area. Let the kids run and play, while you enjoy the scenery. Refreshments are also available, in the gift shop. Admission to the park is a little bit pricey, but well worth it, to enjoy the outdoors and nature at it’s finest. Discounted tickets are available online. 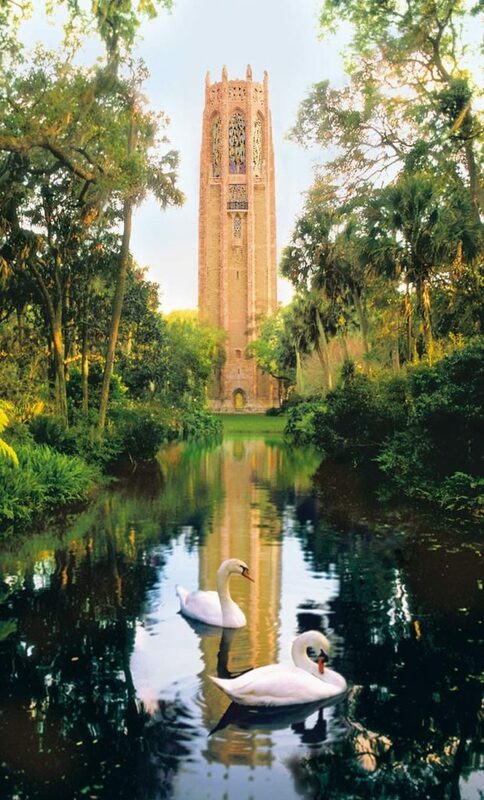 At the center of the garden, sits a 205 foot tall singing tower. It has 6 main levels and an 1928 elevator to the top. 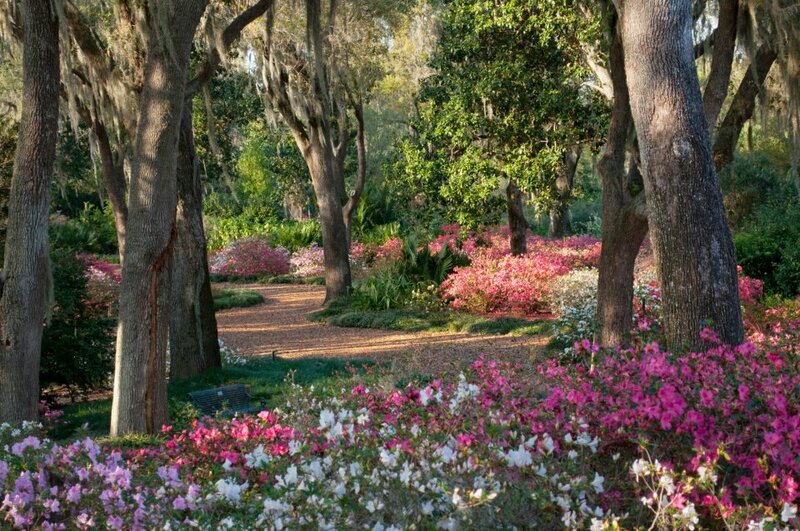 Edward W. Bok became very fond of this hill, called Iron Mountain, which is the highest point in Florida, and established this garden area, from which he could enjoy beautiful sunsets. The tower, constructed of pink and grey marble from Georgia, includes 60 carillon bells, ranging in size from 16 pounds to 12 tons. Throughout the day they play a beautiful medley at one and three PM. The tower is beautifully sculptured with a mediterranean art deco , Gothic style. The artistry is truly amazing! The tower was dedicated by Calvin Coolidge in 1930, upon its completion. The tower also supplies water for the vegetation. 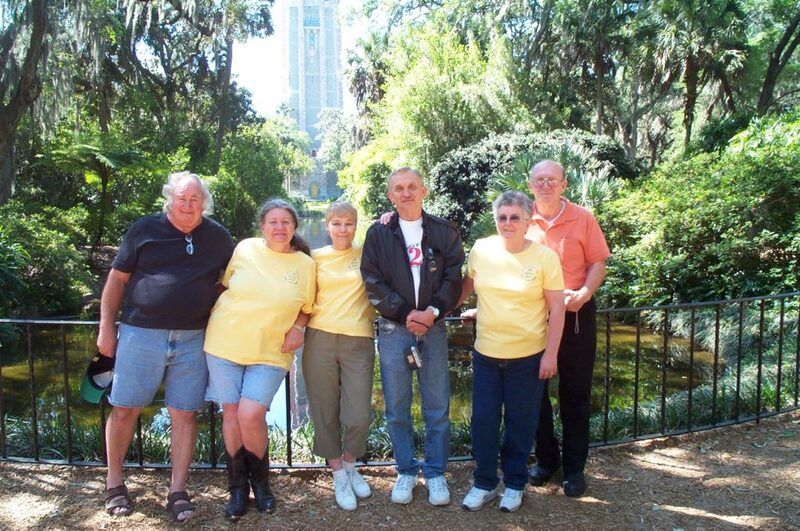 Enjoying a day with friends at Bok Tower Gardens. Be prepared to do a lot of walking, although, there are benches along the walkways. I suggest Fall and Spring to be best times for a visit. One more thing to do! Before leaving Lake Wales, a circular drive around the actual Lake Wales is enjoyable! On one side of the car is the lake. On the other side are these beautiful Southern stile homes and trees with the hanging moss. 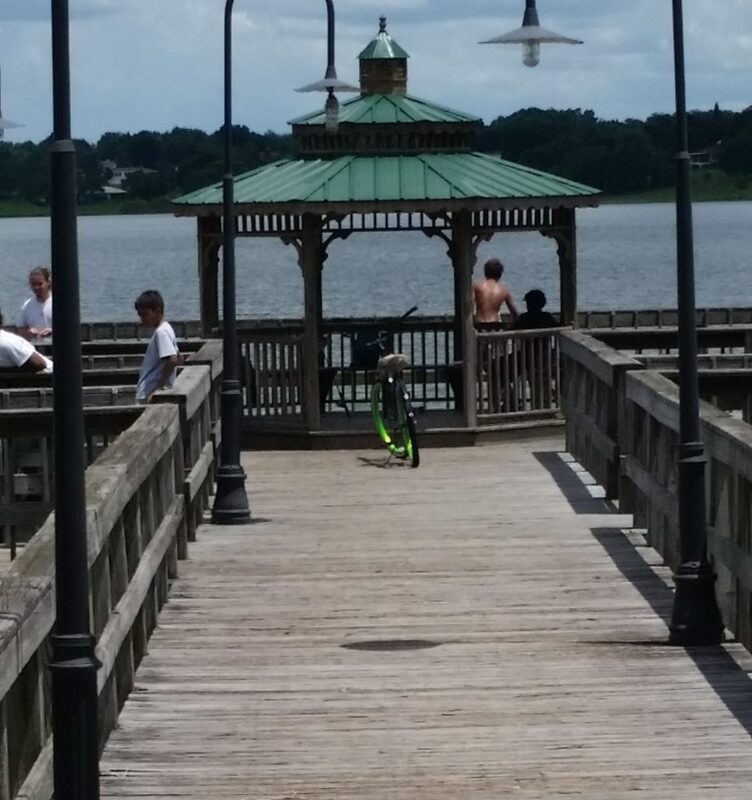 Be sure to stop in Lake Wales park, let the kids have fun in the playground, while you stroll to the gazebo, extending into the lake. 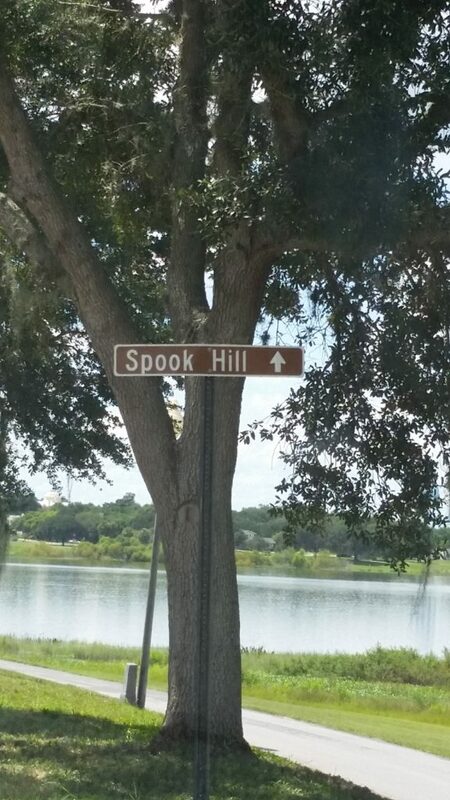 Along that lake drive, there are signs to Spook Hill. Once you arrive there, stop at the designated spot, place your car in nuetral, take your foot off the brake, and watch your car roll backwards, up the hill! Yep, roll backwards up the hill, or so it seems! 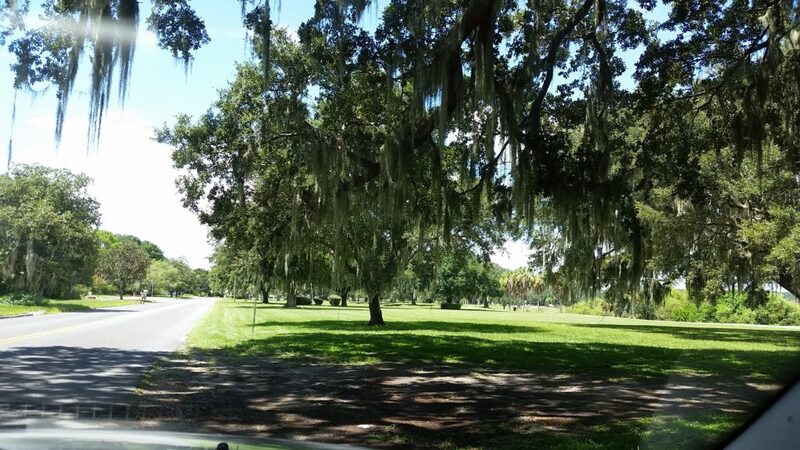 I have visited Lake Wales many times and I always enjoy the drive around the lake and Spook Hill. You will too!